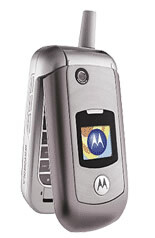 Welcome to our Motorola V975 review. 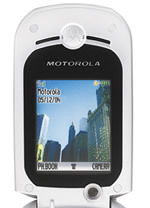 Below we have a review of the features of this mobile, or you can just view a summary of Motorola V975 deals. This competitively priced clamshell handset is an excellent option for those wishing to use the new 3G network, which enables video calling and video downloads. The phone has both internal and external colour screens, and twin cameras, one for stills and one for video, which both create high quality pictures. 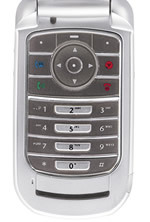 Whilst targeted at the 3G network, the Motorola V975 is tri-band and able to switch to a GSM network where the 3G network is not available. Audio capabilities include polyphonic ringtones, an MP3 player and handsfree speakerphone. Web browsing and e-mail is supported, as is Java for additional games and applications. Overall, this is a user friendly and affordable handset for 3G services. Digital Camera: Yes. The phone has two cameras, VGA for stills, CIF for video.